Erenumab is a human anti-calcitonin gene-related peptide monoclonal antibody developed for migraine prevention. Migraine predominately affects women of childbearing age; thus, it is important to determine potential drug–drug interactions between a common oral contraceptive and drugs used to treat migraine. We sought to evaluate potential drug–drug interactions between erenumab and a common oral contraceptive. Healthy women received three cycles of a norgestimate/ethinyl estradiol-containing oral contraceptive with a single 140-mg subcutaneous dose of erenumab during cycle three. Norgestimate metabolites (norgestrel and norelgestromin) and ethinyl estradiol pharmacokinetics were evaluated in the absence and presence of erenumab. Primary endpoint was peak plasma concentration (Cmax) and area under concentration-time curve from time 0 to 24 h (AUCtau). Luteinizing hormone, follicle-stimulating hormone, and progesterone concentrations were evaluated as pharmacodynamic markers. Erenumab did not influence the pharmacokinetics of norelgestromin, norgestrel, or ethinyl estradiol. Least-squares mean estimates (90% confidence interval) for Cmax ratios were 1.05 (0.90–1.23), 1.06 (0.97–1.16), and 1.04 (0.88–1.22) for norelgestromin, norgestrel, and ethinyl estradiol, respectively. Respective AUCtau ratios were 1.02 (0.94–1.12), 1.03 (0.96–1.10), and 1.02 (0.91–1.14). Luteinizing hormone, follicle-stimulating hormone, and progesterone concentrations were similar after exposure to oral contraceptive alone and with erenumab. Erenumab did not alter the pharmacokinetics of the active components of an estrogen/progestin combination oral contraceptive. Thus, no change in contraceptive efficacy is expected with erenumab. Drug–drug interactions can impact the efficacy of oral contraceptives. Migraine predominately affects women of childbearing age; thus, it is important to identify potential drug–drug interactions between novel migraine therapies and commonly used contraceptives. Erenumab does not affect the pharmacokinetics of a combination oral contraceptive containing ethinyl estradiol and norgestimate. Erenumab (in the US, erenumab-aooe) is a human monoclonal antibody against the canonical calcitonin gene-related peptide (CGRP) receptor developed for prevention of migraine [1, 2]. As a monoclonal antibody and not a cytokine modulator, pharmacokinetic-based drug–drug interaction of erenumab with low molecular weight concomitant medications are not expected. Nonetheless, given that migraine is most prevalent in women of childbearing age  and oral contraceptives are a common concomitant medication, the effects of erenumab on the pharmacokinetics of a commonly used combination oral contraceptive were evaluated. In this population, estrogen/progestin combination oral contraceptive (COC) is the most widely used method of contraception, of which the most commonly used comprises ethinyl estradiol as the estrogen component and norgestimate as the progestin component . During first-pass metabolism, EE is extensively conjugated via intestinal glucuronidation and sulfation into the hormonally inert ethinylestradiol glucuronides and ethinylestradiol sulfate . Aside from sulfate conjugation, ethinylestradiol is mainly metabolized by hepatic hydroxylation into catechol estrogens, mostly by CYP3A4-catalyzed 2-hydroxylation into 2-hydroxy-ethinylestradiol [5, 6]; 2- and 4-hydroxy-ethinylestradiol are further metabolized via catechol O-methyltransferase transformation to 2- and 4-methoxy-ethinylestradiol . Norgestimate is a prodrug that is rapidly and almost completely metabolized upon oral ingestion during first-pass metabolism in the liver and intestines into its active metabolites, mainly norelgestromin, the primary active metabolite, and to a lesser extent levonorgestrel . Norelgestromin is formed via deacetylation of norgestimate with subsequent formation of other circulating metabolites, including the active metabolite norgestrel, via hepatic metabolism . These active metabolites of norgestimate are inactivated via reduction, hydroxylation, and conjugation into levonorgestrel metabolites . Currently, the metabolic pathway(s) for metabolism of norgestimate are unknown. Erenumab is a fully human monoclonal antibody that is observed to have target-mediated drug disposition behavior typical of monoclonal antibody therapeutics characterized by two parallel antibody elimination pathways . At low concentrations, the elimination is nonlinear and predominantly through saturable binding to target (CGRP receptor) followed by degradation or internalization of the erenumab-CGRP receptor complex, while at higher concentrations the elimination of erenumab is largely through a linear, non-specific, non-saturable proteolytic pathway through the hepatic reticuloendothelial system . Erenumab, similar to other monoclonal antibody therapeutics, is not a substrate, inhibitor, or inducer of traditional drug-metabolizing enzyme systems and is unlikely to be involved in cytochrome (CYP)450- or uridine 5′-diphospho-glucuronosyltransferase-mediated drug–drug interactions (DDIs). DDIs can impact the metabolism and/or circulating levels of these hormones, impairing the efficacy of the COC [9, 10]. Thus, it is important to identify potential interactions with COC for new therapeutics that will be commonly used in women of childbearing age. In this study, we evaluated the potential for DDIs between erenumab and an ethinylestradiol/norgestimate COC in healthy women of child-bearing potential. Healthy female subjects aged 18–45 years, with a body mass index ≥ 18 to ≤ 30 kg/m2, and without a history or evidence of any clinically significant disorder, condition or disease that would pose a risk to subject safety or interfere with the study evaluation, procedures or completion were enrolled. Subjects who had regular monthly menstrual cycles in the 12 months before the study and who were willing to start or switch to COC prior to enrollment were eligible. Subjects who had taken any prescription or over-the-counter medication (including known inhibitors and inducers of CYP3A4) within 30 days of study drug dosing were excluded. The study protocol was approved by Institutional Review Boards at each center (Chesapeake IRB, Midlands IRB, and Aspire IRB). All patients provided written informed consent. Sites maintained compliance with the Health Insurance Portability and Accountability Act or relevant regional regulations. The study was conducted in accordance with ethical principles of the International Conference on Harmonisation Good Clinical Practice Guidelines (ICH GCP) and the Helsinki Declaration of 1975 (as revised in 2008). Amgen funded the study. Site investigators collected the data and Amgen conducted the data analyses according to a pre-specified statistical analysis plan. Sample analyses were performed by Amgen or contractors under the direction of Amgen. All authors interpreted the data and collaborated on manuscript preparation with support from a professional medical writer, funded by Amgen. All authors made the decision to submit the manuscript and attested to the veracity and completeness of data and analyses and the fidelity of this report to the study protocol. This was a multicenter, open-label, pharmacokinetic DDI study of approximately 150 days’ duration, conducted at three centers in the United States of America: WCCT Global, Inc. (Cypress, CA, USA), Covance Clinical Research Unit Inc. (Madison, WI, USA), and Anaheim Clinical Trials, LLC (Anaheim, CA, USA). During the study, subjects received three 28-day cycles of daily combined oral contraceptive (21 days of ethinylestradiol 0.025 mg/norgestimate 0.25 mg followed by inert ingredients for 7 days) (Fig. 1). Compliance with oral contraception treatment was assessed by scheduled review of the patient’s oral contraception diary. All subjects were administered a single subcutaneous (SC) 140-mg dose of erenumab on day 10 of cycle 3. Serial blood samples were collected at 0 (predose), 0.5, 1, 1.5, 2, 3, 4, 5, 6, 8, 12, 16, and 24 h after administration of COC on study day 21 of cycle 2 and cycle 3 to characterize the pharmacokinetic profiles of norelgestromin, norgestrel, and ethinylestradiol with (cycle 3) and without (cycle 2) the presence of erenumab. Day 21 of cycles 2 and 3 was chosen to ensure COC was at steady state and to maximize the potential for detecting DDIs, as this followed the last active dose of COC and was 11 days after SC administration of erenumab, approximating the time of maximal erenumab concentration. Pharmacokinetic assessments were also conducted on days 19 and 20 of cycle 2 and cycle 3 (predose) to obtain trough COC concentrations. Plasma concentrations of ethinylestradiol and norgestrel/norelgestromin were determined by validated liquid chromatography tandem mass spectrometry (LC–MS/MS) methods at PPD (Richmond, VA, USA), with an assay range of 0.002–0.5 ng/mL for ethinyl estradiol, 0.05–2.5 ng/mL for norgestrel and 0.02–10.0 ng/mL for norelgestromin, respectively. The analytical internal standard material was 17α-ethinylestradiol-2, 4, 16, 16-d4, norgestrel-(ethyl-d5), and 17-desacetyl norgestimate-d5, respectively. Liquid–liquid extraction was used to prepare the plasma samples prior to injection on an ODS-AQ 2 mm × 100 mm, 3-μm column (for ethinyl estradiol and norgestrel), or a Synergi 4 μ, Polar-RP 80Å, 2.0 mm × 150-mm column (for norelgestromin) with analysis by LC–MS/MS using an AB Sciex API 4000. Analytical data were captured by AB Sciex program Analyst Version 1.6.2. Peak areas were integrated by the Analyst program and the data from Analyst were imported into Assist LIMS version 6 data reduction package. All LC–MS/MS runs met the acceptance criteria as both standard and quality control samples were within ± 20% of their nominal values. Blood samples for pharmacodynamic analysis of luteinizing hormone (LH) and follicle-stimulating hormone (FSH) were collected on day14 of cycle 2 and cycle 3, and of progesterone on day 21 of cycle 2 and cycle 3 and study days 105 and 133. Serum concentrations of LH, FSH, and progesterone were measured by a validated LC–MS/MS method at Q2 Solutions (Atlanta, GA, USA), with an assay range of 0.21–60 ng/mL for progesterone, 0.3–200 mIU/mL for FSH, and 0.07–200 mIU/mL for LH, respectively. These assays are immunoassays using direct chemiluminescence technology and ADVIA Centaur reagent pack (Siemens Medical Solutions Diagnostics, Tarrytown, NJ, USA). The precisions of the assays were within the manufacturer’s specifications (≤ 10% for both within-run and between-run CV). The method to measure serum erenumab concentrations was developed and validated at Amgen Inc. (Thousand Oaks, CA, USA). The method is an enzyme-linked immunosorbent assay (ELISA)-based method utilizing highly specific anti-idiotype antibodies for capture and detection of erenumab. Briefly, microplate wells were passively coated with a mouse anti-erenumab monoclonal antibody (clone 1B6.1H, Amgen Inc., Thousand Oaks, CA, USA) to capture erenumab. Unbound materials were removed by washing the wells. Biotin-conjugated mouse anti-erenumab antibody (clone 1F10.1, Amgen Inc., Thousand Oaks, CA, USA) was used for the detection of the captured erenumab. The nominal assay range for the lower and upper limits of quantification was 1.0–100 ng/mL. Blood samples from subjects who received erenumab were collected on study day 1 (predose) and at end of study (EOS; day 150) for anti-erenumab antibody testing. Binding anti-erenumab antibodies was first evaluated using a validated electro-chemiluminescent bridging immunoassay. For patients whose sera tested positive in the immunoassay, a validated in vitro biological assay was further performed to detect neutralizing anti-erenumab antibodies. Patients testing positive for neutralizing antibodies to erenumab at the final scheduled study visit were to be asked to return for additional follow-up testing. Adverse events (AEs) were assessed throughout the study. The primary endpoint was pharmacokinetic parameters of plasma ethinylestradiol, norelgestromin, and norgestrel assessed as the area under the plasma concentration–time curve from time 0 to 24 h (AUCtau) and the maximum observed plasma concentration (Cmax) for ethinylestradiol, norelgestromin, and norgestrel following administration of COC alone (cycle 2) compared with coadministration of COC and erenumab (cycle 3). The secondary endpoints included the time to maximum plasma/serum concentration (tmax) and drug concentration at 24 h postdose (C24h) for plasma ethinylestradiol, norelgestromin, and norgestrel following administration of COC alone (cycle 2) compared with coadministration of COC and erenumab (cycle 3), adverse events, vital signs, laboratory tests, and anti-erenumab antibodies. Exploratory endpoints were the pharmacodynamic markers, serum levels of LH, FSH, and progesterone, and serum erenumab concentrations. The study was designed as an estimation study based on the draft FDA DDI guidance and a November 2015 FDA workshop on oral contraceptive DDI studies that concluded that a > 30% lowering in systemic exposure for an oral contraceptive is a clinically relevant effect. This guidance eliminated the historical requirement that 90% confidence intervals of Cmax and AUC ratios (i.e., test/ref) had to be within 0.8–1.25. 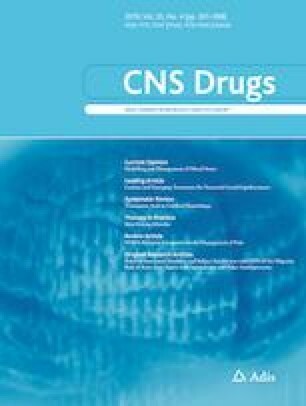 Pharmacokinetic parameters (Cmax, tmax, and AUCtau) were estimated using noncompartmental analysis of ethinylestradiol, norgestrel, and norelgestromin using Phoenix WinNonlin v.6.4 software on Citrix (Pharsight®, St. Louis, MO, USA) on individual plasma ethinylestradiol, norgestrel, and norelgestromin concentrations. Log-transformed Cmax and AUCtau were calculated for ethinylestradiol, norelgestromin, and norgestrel using a linear mixed effects model, with treatment (COC alone vs COC with erenumab) as a fixed effect and subject as a random effect. Least-squares geometric mean ratio and 90% confidence intervals (analyte in the presence of coadministration of COC and erenumab [test] and COC alone [reference]) and were calculated for Cmax and AUCtau. Concentrations below the lower limit of quantification (LLOQ, 1.00 ng/mL for erenumab) or limit of quantitation (2.00 pg/mL for ethinylestradiol, 50.0 pg/mL for norgestrel, and 20.0 pg/mL for norelgestromin) were set to zero before data analysis. Drug concentration at C24h was summarized based on the observed data. Sample size was estimated based on within-subject SD on a natural logarithm scale assumed to be no more than 0.245 for Cmax or AUCtau of ethinylestradiol, norelgestromin and norgestrel . With a sample size of 16 subjects, there was a 90% probability that the observed geometric mean ratios (test/ref) of Cmax and AUCtau would be within 85.9–116.4% of the population central values. Enrollment of approximately 35 subjects in this study was a mitigation strategy against a possible high dropout rate, which helped ensure approximately 16 or more subjects would be included in the primary analysis. The safety analysis set consisted of all subjects who received the injection of erenumab (cycle 3). The pharmacokinetic analysis contained all subjects for whom at least one ethinylestradiol, norelgestromin, and norgestrel pharmacokinetic parameter or endpoint could be adequately estimated. The pharmacodynamic analysis set contained all subjects for whom at least one LH, FSH, and progesterone parameter or endpoint could be adequately estimated. Of the 41 subjects enrolled in this study, 17 subjects discontinued from the study prior to receiving erenumab, 24 subjects (58.5%) were included in the safety analysis set, 27 subjects (65.9%) were included in the pharmacokinetic analysis set, and 34 subjects (82.9%) were included in the pharmacodynamic analysis set. The mean (range) age of subjects in the safety analysis set was 33.4 years (21–45) and the mean (range) body mass index (BMI) was 23.60 kg/m2 (18.5–30.9) (Table 1). A total of 2281 samples from 27 subjects were included in the pharmacokinetic analysis set, comprising 157 samples of erenumab and 708 samples each of ethinylestradiol, norgestrel, and norelgestromin. Of these, 10 samples were excluded from non-compartmental analysis, and 59 samples were excluded from mean concentration tables and figures. Reasons for exclusion were unscheduled samples (n = 3), early termination (n = 3), and predose samples collected postdose (n = 4). An additional exclusion was applied to the mean concentration tables and figures due to actual sampling time deviating > 20% from nominal time (n = 49). The mean (SD) concentration–time profiles for ethinylestradiol, norgestrel, and norelgestromin during cycle 2 and cycle 3 are provided in Fig. 2. Descriptive statistics of pharmacokinetic parameter estimates for ethinylestradiol, norgestrel, and norelgestromin, including those for the secondary pharmacokinetic parameters tmax and C24h during cycle 2 and cycle 3, are presented in Table 2. A summary of the least-square geometric means for Cmax and AUCtau of ethinylestradiol, norelgestromin and norgestrel with and without co-administration of erenumab, and the ratios and 90% CIs for the ratios between COC with erenumab (cycle 3) and COC alone (cycle 2), are provided in Table 3. Coadministration of erenumab with COC resulted in similar systemic ethinylestradiol, norgestrel, and norelgestromin exposures. The geometric least-squares mean estimates (90% CI) for the Cmax ratio (COC coadministered with erenumab vs COC alone) were 1.04 (0.88–1.22) for ethinylestradiol, 1.06 (0.97–1.16) for norgestrel, and 1.05 (0.90–1.23) for norelgestromin. Respective AUCtau ratios were 1.02 (0.91–1.14), 1.03 (0.96–1.10), and 1.02 (0.94–1.12). These results demonstrate that erenumab does not affect the pharmacokinetics of ethinylestradiol/norgestimate. Corresponding serum erenumab concentrations for individual subjects ranged from 3650 to 16,300 ng/mL at the time of assessment of plasma ethinylestradiol, norgestrel, and norelgestromin (day 21 of cycle 3). The serum concentrations of LH, FSH, or progesterone were similar when COC was taken alone and when coadministered with erenumab (Table 4). Median (Q1, Q3) LH concentrations were 3.35 IU/L (1.00, 6.30) and 3.55 IU/L (1.90, 5.70) for COC taken alone and with erenumab co-administration, respectively. Median (Q1, Q3) FSH concentrations were 3.10 IU/L (2.20, 4.40) and 4.00 IU/L (1.40, 5.30) for COC taken alone and with erenumab co-administration, respectively. Median (Q1, Q3) progesterone concentrations were 1.80 nmol/L (1.14, 2.34) and 2.23 nmol/L (1.29, 4.32) for COC taken alone and with erenumab co-administration, respectively. A total of 24 subjects received a single 140-mg SC dose of erenumab, were included in the safety analysis set, and completed treatment. A total of 17 subjects (70.8%) reported adverse events (Table 5). All AEs were mild to moderate in severity; there were no subjects who had an adverse event that was grade 3 or higher. No subjects had serious adverse events or fatal adverse events. The most frequent treatment-emergent adverse events following erenumab exposure (≥ 10%) were headache (8 subjects, 33.3%), nausea (5 subjects, 20.8%), upper respiratory tract infections (4 subjects, 16.7%), and fatigue (3 subjects, 12.5%) (Table 5). Two subjects (8.3%) developed anti-erenumab binding antibodies after erenumab administration (both positive at day 150; EOS), including one subject who also showed neutralization activity against erenumab at EOS, but reverted to neutralizing negative at a 3-month follow-up. In addition, one subject (4.2%) had pre-existing anti-erenumab binding antibodies at study baseline. Erenumab serum concentrations in the anti-erenumab antibody positive subjects were within the range observed in subjects who were negative for anti-erenumab antibodies. There were no subjects who showed evidence of liver function test abnormalities and no subjects met any of the laboratory criteria for Hy’s law. Overall, there were no clinically relevant changes in systolic and diastolic blood pressure, heart rate, or ECGs. These results demonstrate that there is no clinically relevant DDI between erenumab and a commonly used, representative ethinylestradiol/norgestrel. Erenumab had no effect on the pharmacokinetics or pharmacodynamics of the ethinylestradiol/norgestrel combination oral contraceptive. With erenumab coadministration, there were no alterations in the tmax, Cmax, AUCtau, or C24h in the COC primary active metabolites norelgestromin and estradiol or the secondary metabolite norgestrel. Even using the older, more stringent criteria (0.80–1.25) the ratios were well within the threshold ranges to confirm a lack of DDI with COC. The most important component in a COC is typically the estrogen component since it suppresses ovulation. The lack of an effect on the pharmacokinetics of ethinylestradiol indicates that contraceptive failure would not be expected when women on a COC are prescribed erenumab. The lack of increase in ethinylestradiol exposure indicates that estrogen overactivity also would not result from concomitant administration of COC with erenumab. COCs contain a progestin component as a secondary mechanism of action by decreasing the amount of cervical mucus and increasing its viscosity, thereby inhibiting sperm penetration through the cervix into the uterus and fallopian tubes. The lack of effect on the pharmacokinetics of norelgestromin and norgestrel support the continued secondary contraceptive action of COC coadministered with erenumab. The lack of changes in the pharmacokinetics of COC with erenumab is consistent with the low DDI potential of biologic drugs . The few studies assessing the potential DDI between monoclonal antibodies and oral contraceptives have found no effect . This lack of effect observed with biologic drugs is in contrast to topiramate, an oral medication commonly used in migraine prevention, which has been shown to modestly reduce the concentration of ethinylestradiol, the primary active estrogen COC component, via induction of CYP3A4, at higher clinical doses [14, 15]. Often, lower doses of topiramate are used for migraine prevention, which do not appear to interact with ethinylestradiol . Serum LH, FSH, and progesterone levels are well established in ovulating women and are known to reflect the fertility potential, indicating robust pharmacodynamic effects of COC at inhibiting ovulation, fertilization, and/or implantation . Evaluation of potential effects of erenumab on the PD of COC by measuring LH, FSH, and progesterone revealed similar concentrations across all treatment cycles. There was no meaningful change in mid-cycle FSH or LH levels in the presence of erenumab as compared with COC alone. LH median values of 3.4–3.6 IU/L were lower than those expected for the ovulatory phase (range 8.7–76.3 IU/L); FSH median values of 3.1–4.0 IU/L were within the lower end of the reference range for the ovulatory phase (range 3.1–17.7 IU/L); and progesterone median values of 1.8–2.2 nmol/L remained suppressed below levels required for conception and within the reference range for the follicular phase of the menstrual cycle reported for premenopausal women (0.48–4.45 nmol/L). These observed serum progesterone, LH, and FSH levels indicate that administration of erenumab with COC is unlikely to alter contraceptive effectiveness. Results of safety analyses were consistent with the known safety profile of erenumab and did not identify any new risks. A DDI study with prototypical CYP450 substrates was not conducted as part of the erenumab development program, because biologic drugs have low DDI potential, and erenumab does not target a proinflammatory cytokine nor treat an inflammatory disease. However, since females of childbearing age constitute a large proportion of the migraine population, this oral contraceptive–DDI study was conducted. While there is no strong scientific basis for a DDI between erenumab and oral contraceptives, physicians might not have this awareness, and for this reason, this DDI study was conducted to inform the drug label. The results of this study show that erenumab does not alter the pharmacokinetics of the active components of an estrogen/progestin COC. There were no alterations in the tmax, Cmax, AUCtau, or C24h in primary or secondary active metabolites of COC with erenumab coadministration. Further, there were no meaningful changes in FSH, LH or progesterone levels in the presence of erenumab, indicating that there were no changes in fertility potential. Thus, no change in contraceptive efficacy of COC is expected with administration of erenumab. The Open Access Article Processing Charge was funded by Amgen Inc. This study was fully funded by Amgen Inc. Erenumab is co-developed in partnership with Amgen Inc. and Novartis. Jon Nilsen, PhD (Amgen Inc.) provided medical writing support for this manuscript. Yang Xu, Kristin Gabriel, Yi Wang, Yanchen Zhou, Osaro Eisele, Daniel D. Mikol, and Edward Lee are or were employees and stockholders of Amgen Inc. at the time of the study. Apinya Vutikullird is an employee of WCCT Global, which received research funding for this study. Institutional Review Boards at each center approved the study protocol. Sites maintained compliance with the Health Insurance Portability and Accountability Act or relevant regional regulations. The study was conducted in accordance with the ethical principles of the International Conference on Harmonisation Good Clinical Practice Guidelines (ICH GCP) and the Helsinki Declaration of 1975 (as revised in 2008). Amgen Inc. Aimovig™ (erenumab-aooe) US prescribing information. 2018. https://www.accessdata.fda.gov/drugsatfda_docs/label/2018/761077s000lbl.pdf. Accessed 8 June 2018.